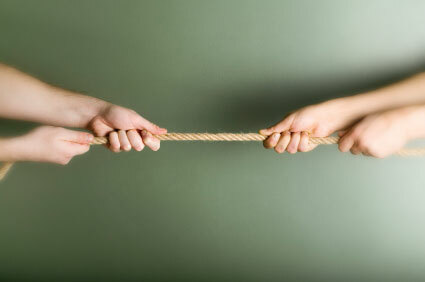 Most of us dislike conflict, yet we’re surrounded by it. On the global scale there are Islamic extremists, the Ukraine mess, and North Korea. Nearer home the potential presidential candidates are already criticizing each other and still more cities see demonstrations over minority youth shot by the police. When two parties have competing interests or viewpoints the result is a tension that can rise to the point of violence. However, sometimes the tension of conflict is a good thing when it forces us to find a balance between two valid and virtuous principles. And just such a case comes up in John 1:17 where we read, “For the law was given through Moses; grace and truth came through Jesus Christ” (ESV). During the Dispensation of Law matters of right and wrong, crime and punishment, good and evil, were simple and straightforward. “What does the Law say?” The document Moses received on Sinai spelled it all out in clear, unambiguous terms. The most difficult questions had to do with specifics, like exactly what constituted work on the Sabbath. But no one could argue that someone guilty of violating the Sabbath should receive the specified punishment. There was no grace, just truth. John explains that Christ changed that. He did not remove truth; there are still standards, and obedience is an act of submission and worship. But grace enters the dynamic making things complex. A good illustration of that complexity shows up in the story of the adulteress brought to him by the Pharisees (Jn. 8). They were right; the Law of Moses required that she be stoned. Yet he told her to “go, and from now on sin no more” (v. 11). We aren’t given the details of the situation, including what he wrote in the dust, but after shaming the Pharisees Christ showed her grace (“go”) and truth (“sin no more”). “He does not deal with us according to our sins, nor repay us according to our iniquities” Ps. 103:10). My world would be a lot neater if I could make judgements solely on the basis of a black and white standard. That’s what the Mosaic Law established. But Christ shows me a new and better way. As he has bestowed grace on me I am to extend it to others. It can be difficult to find that balance between the standards of truth and Christlike grace. • The 4-year old who tearfully confesses they took sweets from the cupboard. • The H.S. honor student brought to the U.S. illegally as a pre-schooler. • The parent of a child abuse victim who shoots the perpetrator. Balancing the conflicting principles of grace and truth often creates a tension that makes us uncomfortable. But being Christlike requires that we struggle to find the right balance between those two virtues.